Jigsaws can be used to cut perfect circles and semi-circles of virtually any size. Circular cuts can be made freehand following a marked line, although they are much more accurate when a circle cutting guide is used as the blade is kept a set distance from the centre of the circle. 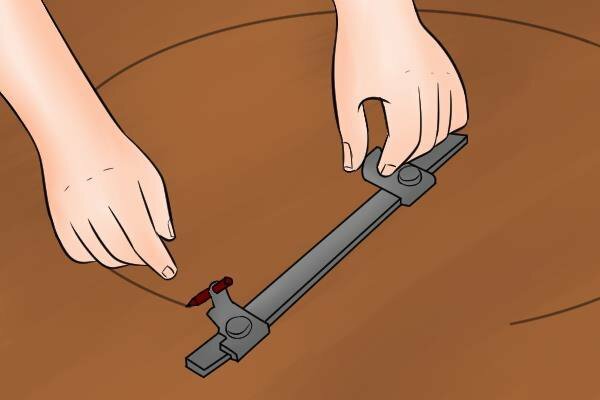 If you are cutting your circle freehand, you will first need to mark your cutting line. 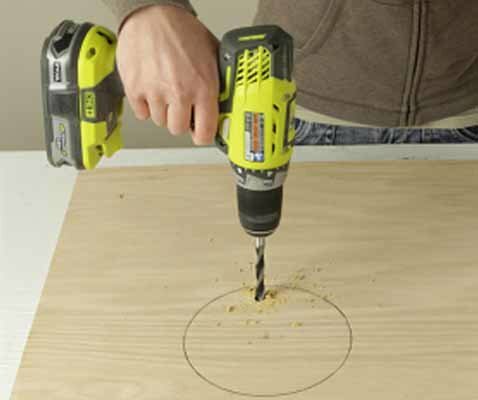 This can be done by using trammel heads with a pencil installed or by drawing around a circular template. If you are using a guide, attach it to your jigsaw by slotting its beam into the tool's shoe. Then, using the guide's integral scale or with a ruler or tape measure, set the distance between the guide's pivot point and the jigsaw blade. 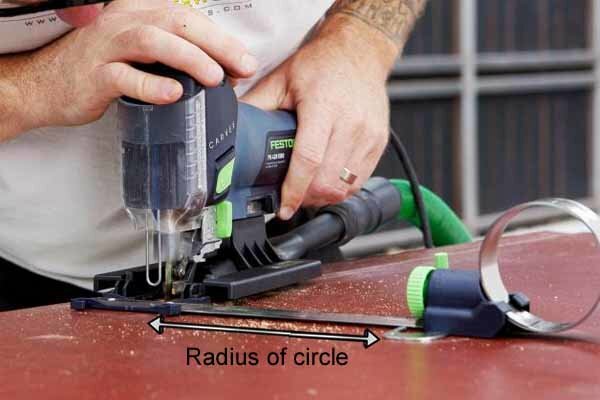 This should be equal to the radius of the circle being cut. 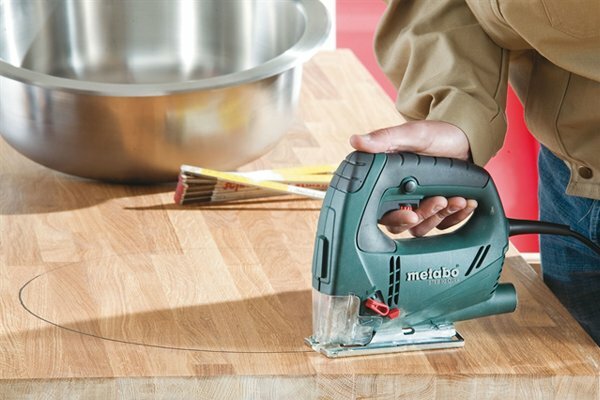 To make an internal cut out, you will first need to drill a starter hole just inside the cutting line that is large enough to admit the blade of your jigsaw. If you are using a guide, this hole will need to be positioned very accurately on the inside of the cutting line as the position of the blade will be constrained by the guide. 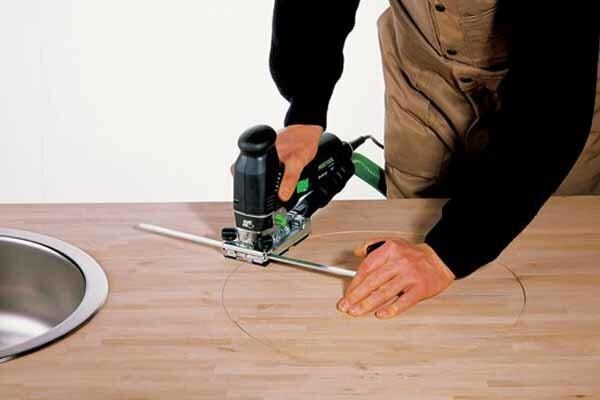 If you are not making a cut-out from the middle of your workpiece, you will not need to drill a hole first as the jigsaw will be able to enter the cut from the edge of the circle (or semi-circle). 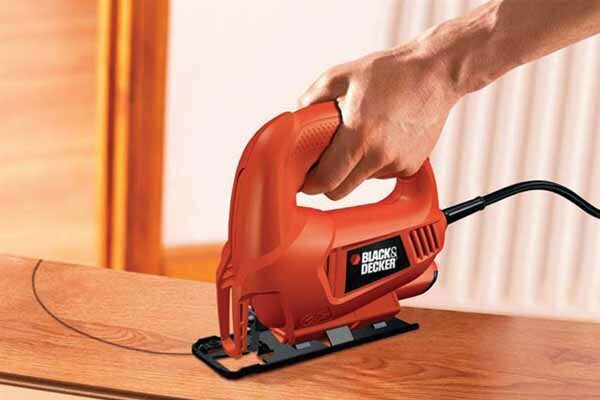 Insert your jigsaw blade into the starter hole you have cut and turn on your tool. Wait for the jigsaw to gather speed before beginning your cut. Carefully follow the cutting line. For accurate results, it is important that you take your time and do not force the blade. Insert the centre pin into the material where the middle of your circle will be. 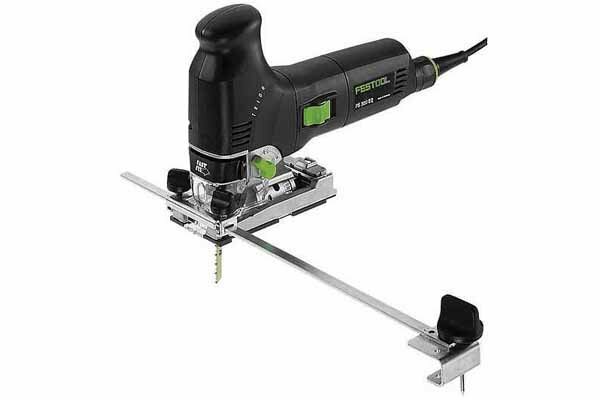 Position the blade of your jigsaw into the starter hole and turn on your machine. Hold the pin of the guide with one hand and, using the other, slowly pivot your jigsaw around the centre point until you return to the beginning of the cut.